Thanks so much. I love word art. It adds so much to a page. Thank you! Your blog post will be advertised on the DigiFree Digital Scrapbooking Freebie search engine today (look for timestamp: 02 Dec [LA 09:00pm] - 03 Dec [NY 12:00am, UK 05:00am, OZ 04:00pm] ). Thank you so much... 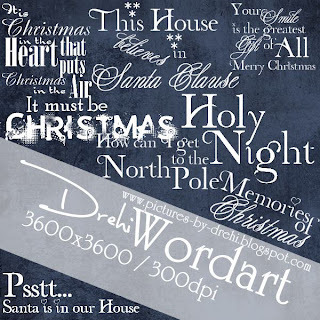 I love the word art! I just love your Wordart. Very unique and so creative! Thank you so very much! Thank you for all of your great word art.